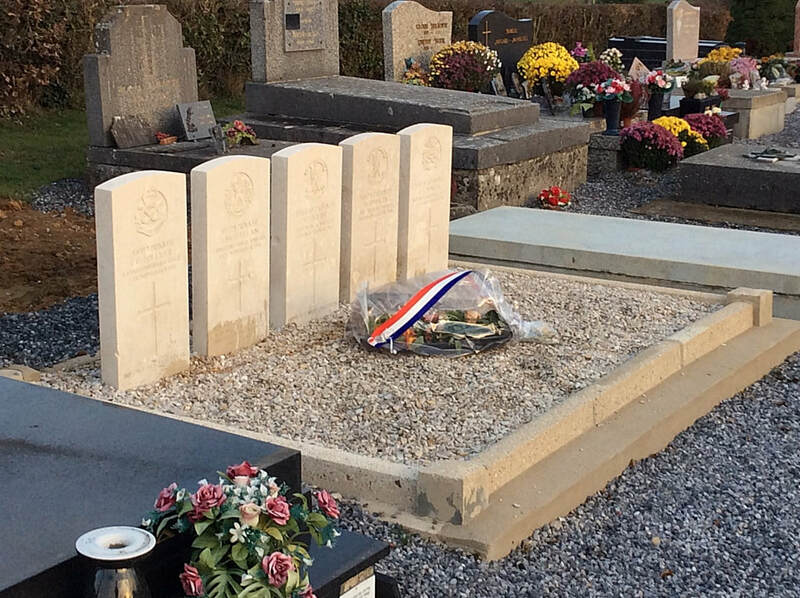 La Groise is a small village in the Nord department of France, some 28 kilometres south east of Cambrai. 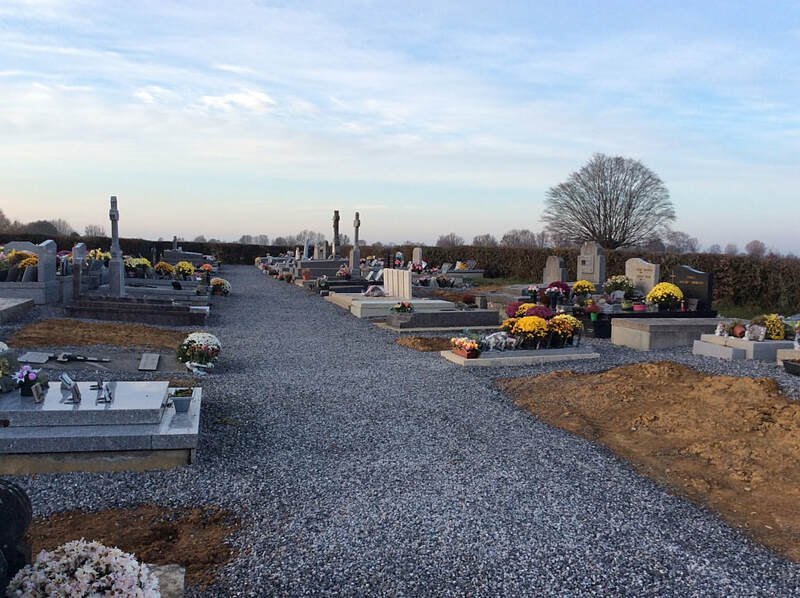 It is located on the D934 road between Landrecies and the junction with the N43 (Cambrai to Charleville-Mezieres). 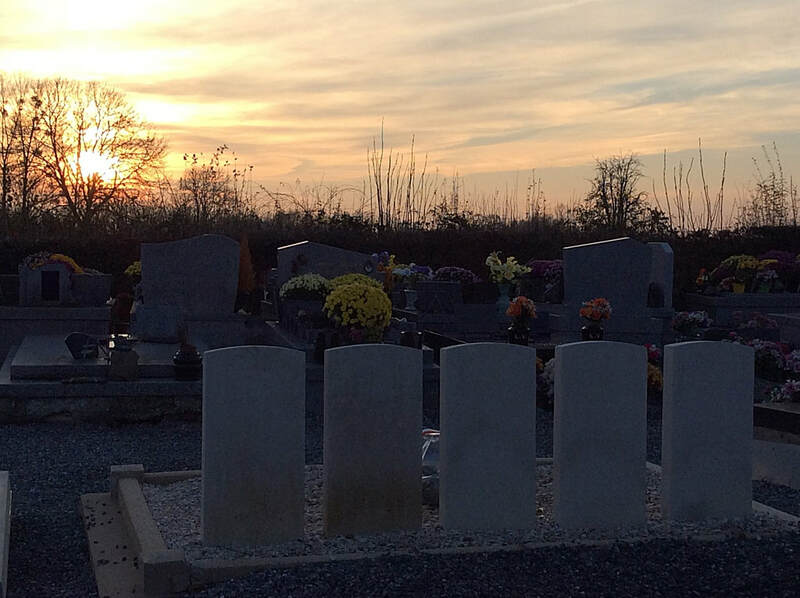 The cemetery is to the north of the village on the D934 on the western side of the road, and the war graves plot is to the right of the main path to the rear of the cemetery. 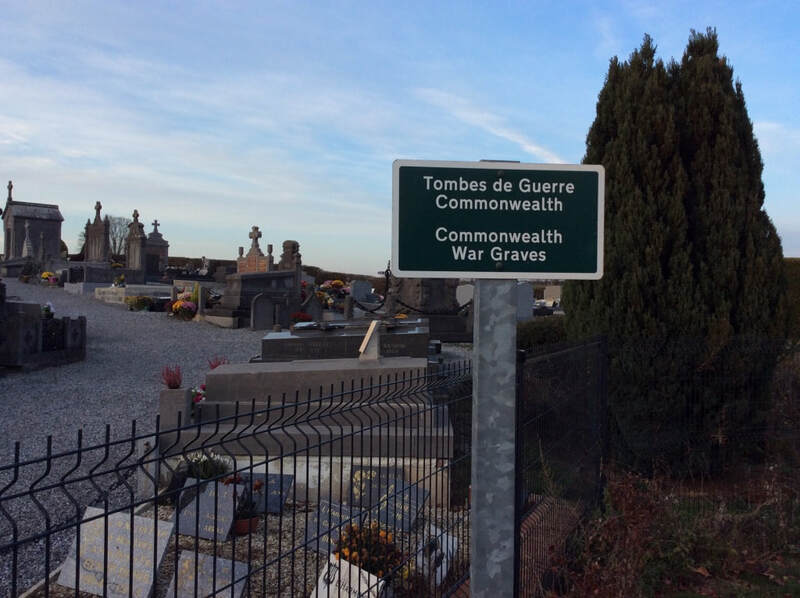 There are 5 Commonwealth burials of the 1914-1918 war here. 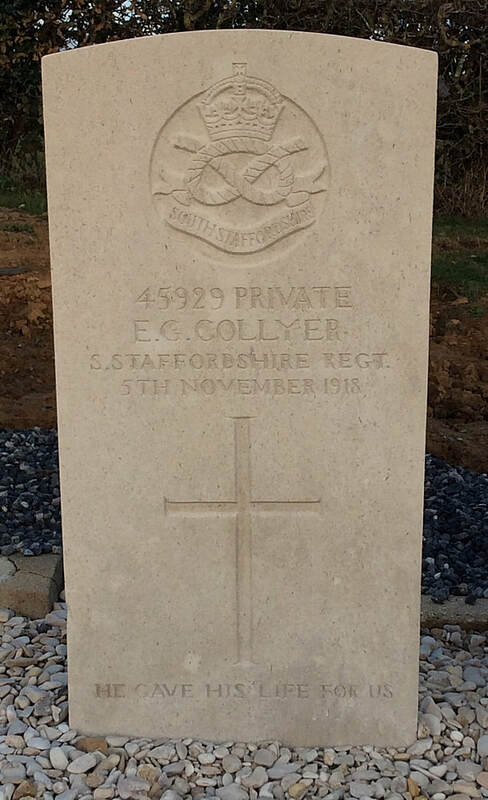 45929 Private E. Collyer, 1st/6th Bn. 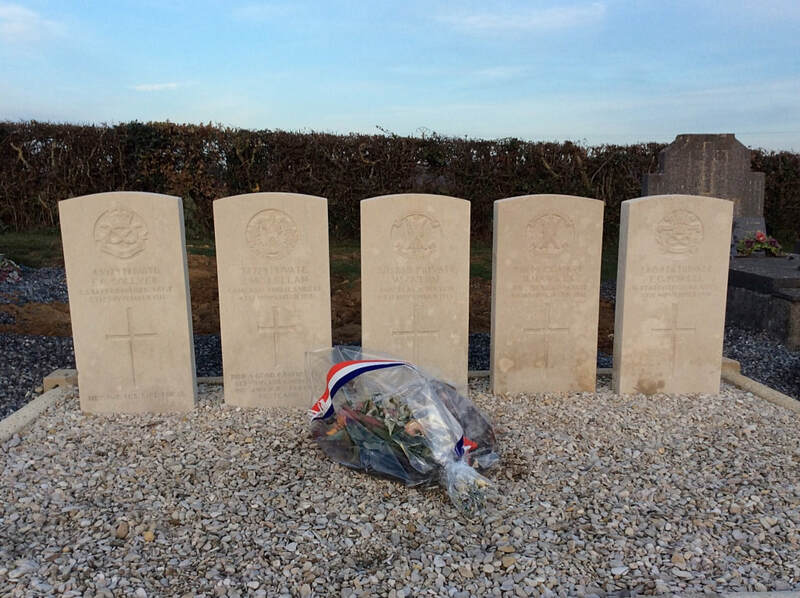 South Staffordshire Regiment, died 5th November 1918. 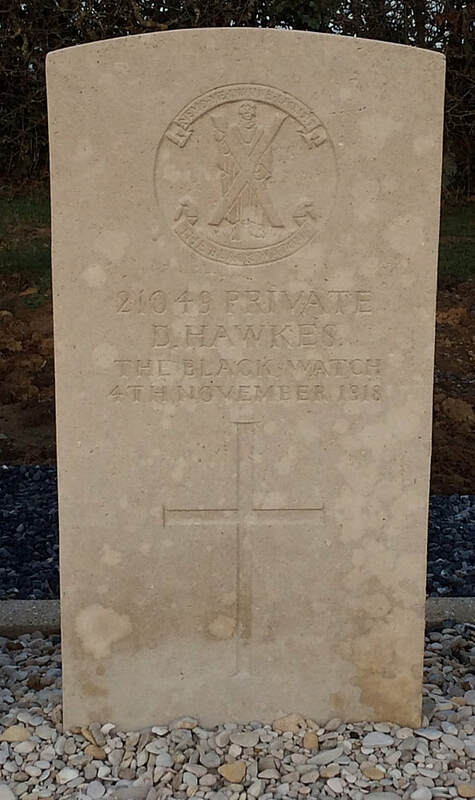 21049 Private Daniel Hawkes, 1st Bn. Black Watch (Royal Highlanders), died 4th November 1918. 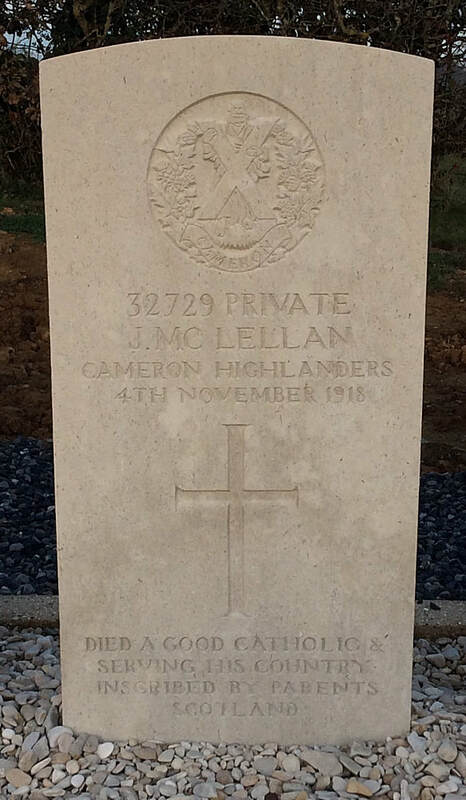 32729 Private J. McLellan, 1st Bn. Cameron Highlanders, died 4th November 1918. Son of Mr. and Mrs. Alexander McLellan, of Glen Cottage, Mallaig, Inverness-shire. 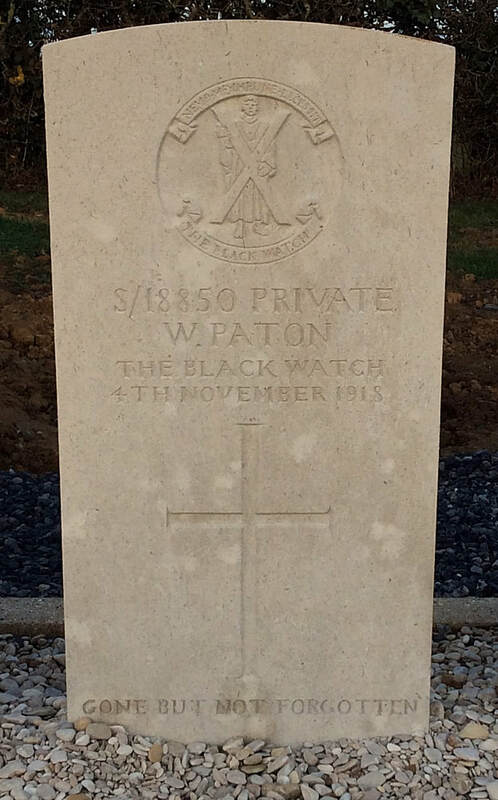 S/18850 Private William Paton, 1st Bn. Black Watch (Royal Highlanders), died 4th November 1918, aged 20. Son of Emily Paton, of 13, Oxford Place (late of 8, John St. J, Doncaster, and the late William Paton. 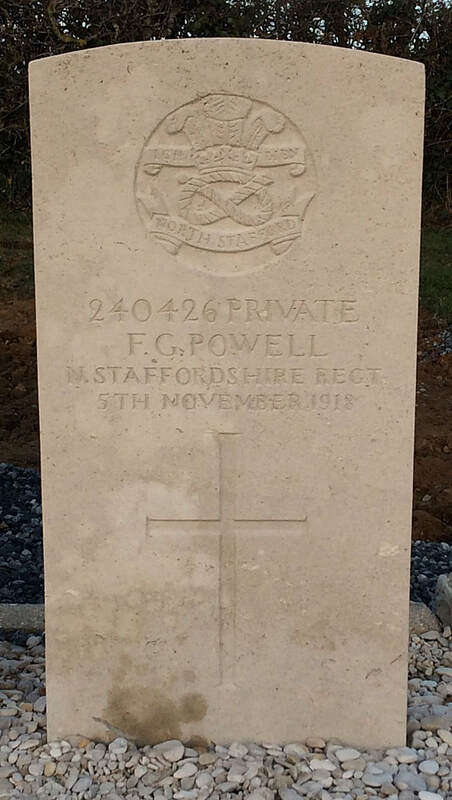 240426 Private F. G. Powell, 1st/6th Bn. North Staffordshire Regiment, died 5th November 1918.